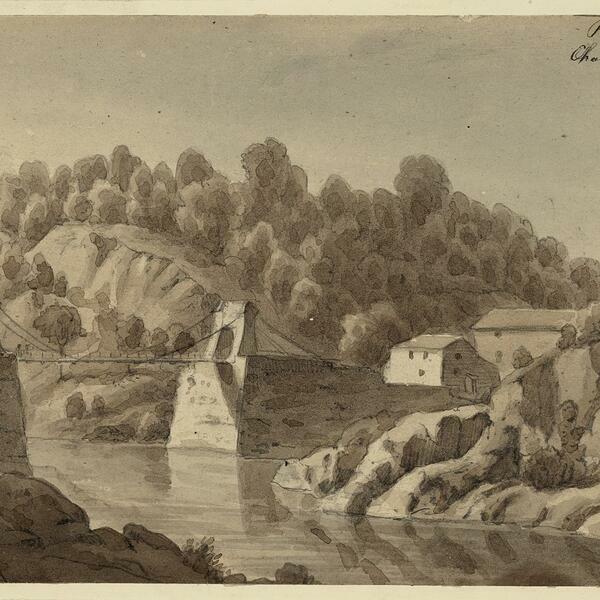 View from the Maryland side of the Chain Bridge over the Potomac River in 1839. This was the fourth bridge at that location, with several more since. Inscriptions Top right: "Potomac River, Chain Bridge at Little Falls", bottom left: "30 Sept. 39." US-LibraryOfCongress-BookLogo.svg This image is available from the United States Library of Congress's Prints and Photographs division under the digital ID ppmsca.22793.